Before you will be able to use any tools in Details mode, you will have too create the “detail”. 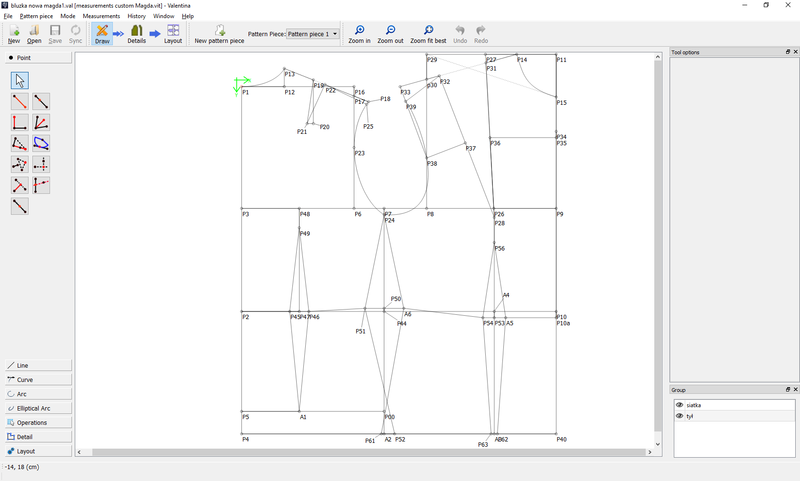 Think of the detail as the printable pattern piece(s) and the work you did in Draw mode as your scratch paper. 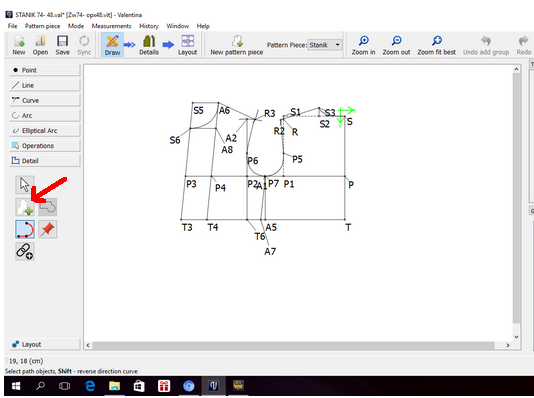 To create the detail (your last step in the Draw mode) you must use the seam allowance tool. It was not intuitive for me either until somebody told me about it. 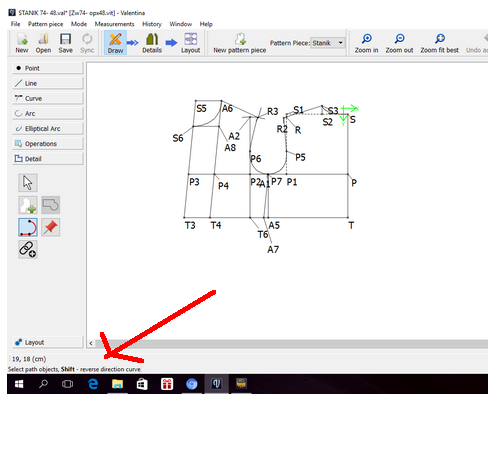 Notice the red arrow pointing to the icon for the seam allowance tool. 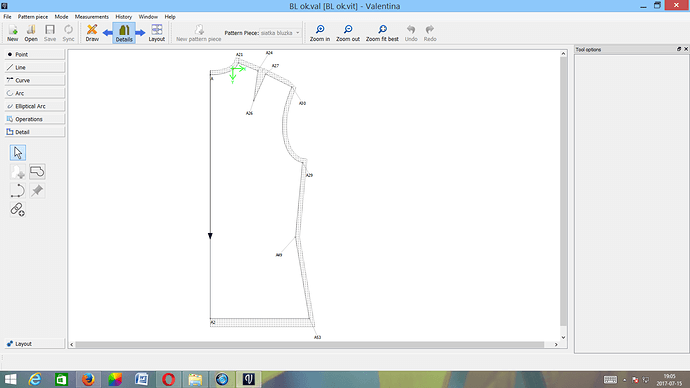 After you click on the seam allowance tool, follow the instructions on the detail line in the lower left corner to select the points for your details. Use the Seam Allowance Tool in the Details group to create the outlines (Seam Allowances) of your detail pieces. Create one Seam Allowance for Front Bodice, and another for Back Bodice. 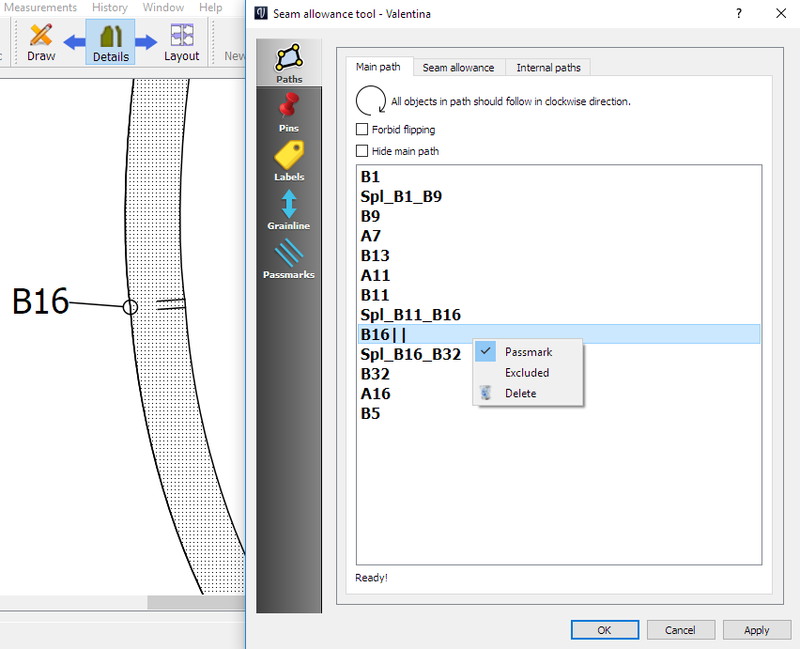 Then add internal paths with Piece Path tool to mark pocket placement, button lines, etc. Then goto Details mode (select Detail icon on the top menu bar). 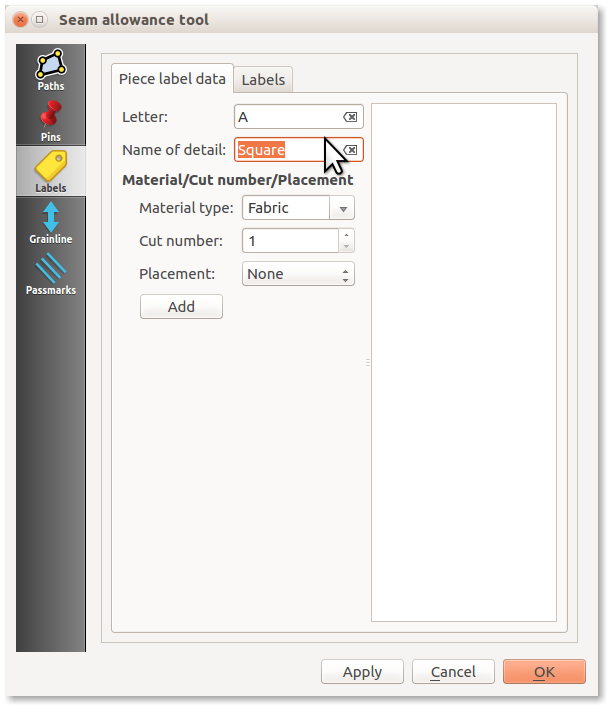 Right click on a detail piece and select Options. Name each detail piece, add labels and grainlines and passmarks. Save. Then generate a layout image. Actually I work on drawing a blouse. I did Back Bodice. 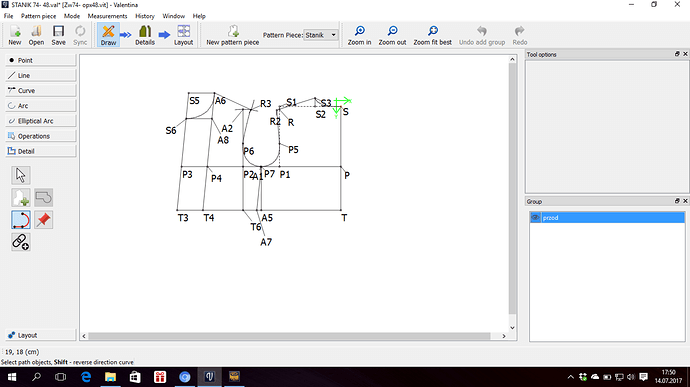 I have a question about points insert pattern. I did dart on waist and I don’t know why it isn’t visible on datails mode and eventually on layout. I use to do this “pins”. 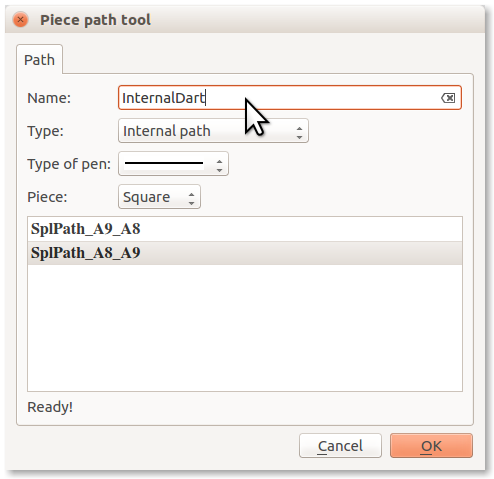 slpencer wrote about “piece path” but darts probably it’s not the same with pocket etc. in using tools. I would like to add passmarks, but it isn’t works. Thanks for explain these tools Have a nice day. 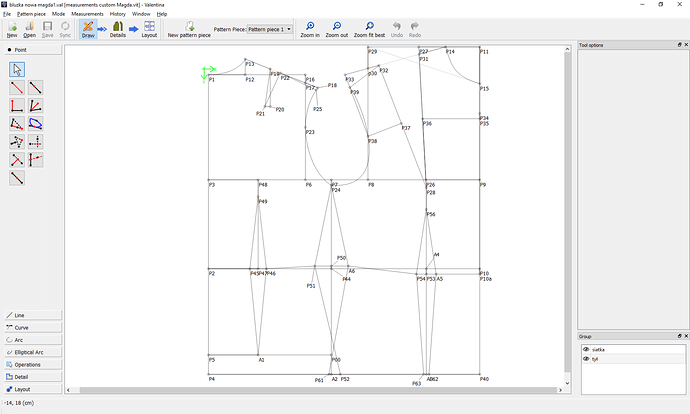 Maybe you know how to transfer darts (on your image points A50, 51, 52) to layout mode? When I create a detail, darts are considered as a separate pattern, and in layout mode they appear as completely separate piece. Than I go to the Details mode and name the details. 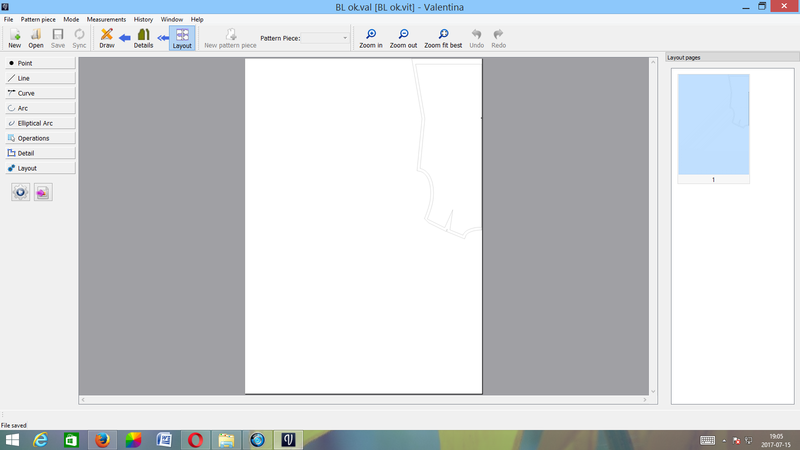 When I choose specific detail I can go to its optionsusing right mouse button. 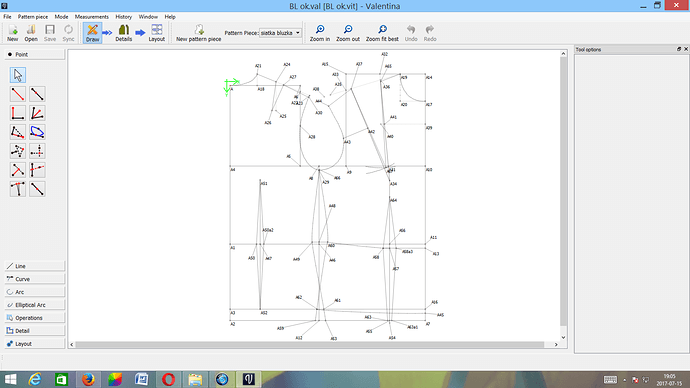 Among options I can see “Internal paths” bookmark, but I still dont know how to insert anything there (it is empty). When I choose specific detail I can go to its optionsusing right mouse button. Among options I can see “Internal paths” bookmark, but I still dont know how to insert anything there (it is empty). 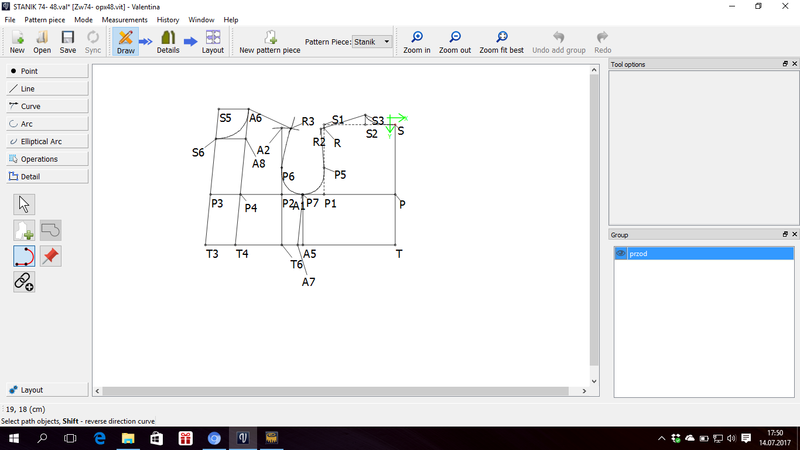 You must return to Draw mode and select Internal Path tool. 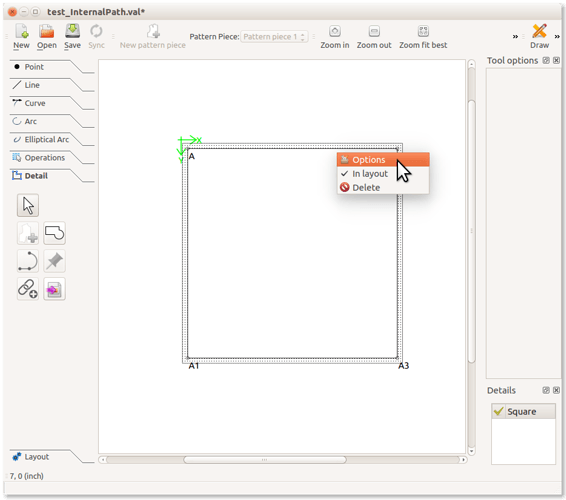 Is it possible that I don’t have this tool in Valentina 0.6.0.84.a? I’m sorry for long silence. 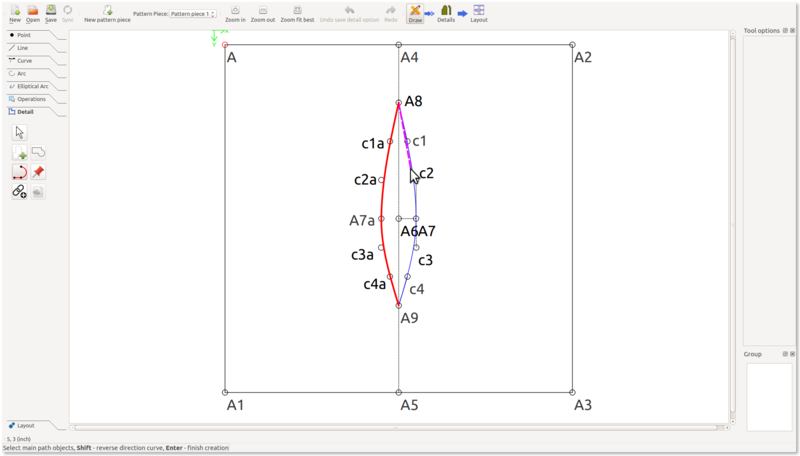 dismine- It turned out, that this red curve is called “Piece path tool” (as also slpencer noticed) in my version. I used it and it worked:slight_smile: Thank you slpencer for detailed instruction.